​New York Times and USA Today Best Selling Author Delilah Devlin recently hosted me on her blog. It was an honor and a lot of fun. 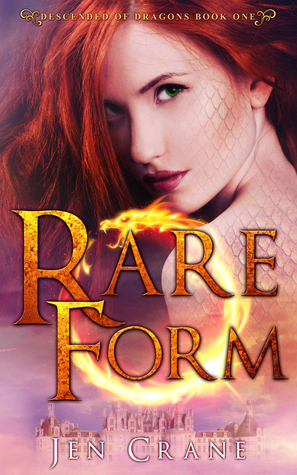 The guest blog post includes the chance to win a signed copy of Rare Form, Book 1 in the Descended of Dragons series. Want a chance to win? Sign up to receive my newsletter. Yes, that's it! Would you like to read the blog post? Check it out here. I'm also hosting a Goodreads Giveaway through October 27. A lot of people have signed up. You can, too, by following the link below. Giveaway ends October 27, 2015. So there ya go. Two ways to win one of three free copies of Rare Form, the first in the scorching new Descended of Dragons fantasy series.